Dr. McBride is the Director of the Child Development Laboratory and a Professor in the Department of Human Development and Family Studies. 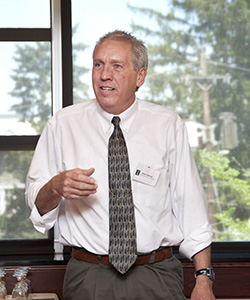 His primary research interests include university-based laboratory schools as a context for child development research, the role of child care contexts on childhood obesity and nutritional status, the impact of paternal involvement in families of children with disabilities on maternal and child outcomes, and the antecedents and consequences of father involvement. He received his PhD in Early Childhood Education from the University of Maryland at College Park. Dr. McBride's complete bio can be found here.